After introducing static pages in blogger, most of the blogspot users now using this static (stand-alone) blogger pages on their blog to display information's. For example, you can use pages to create an About This Blog page that discusses the evolution of your blog, or a Contact Me page that provides directions, a phone number, and a map to your location. After reading this post you will be able to add/edit and display static blogger pages in your blog. Static pages are sometime referred as a stand-alone pages in blogger. 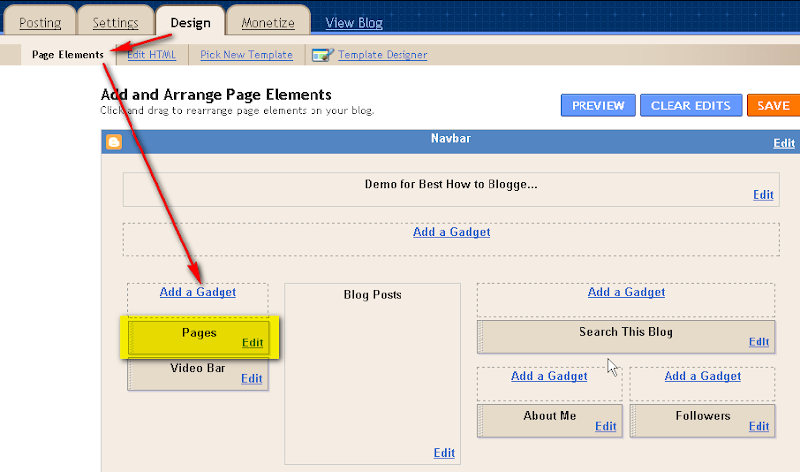 Navigate to blogger dashboard: Posting > Edit Pages and click on create a page link. Enter Post Title and content, after finish writing click on Publish Page button. You will have a screen called: "How would you like the Pages Gadget to appear?" 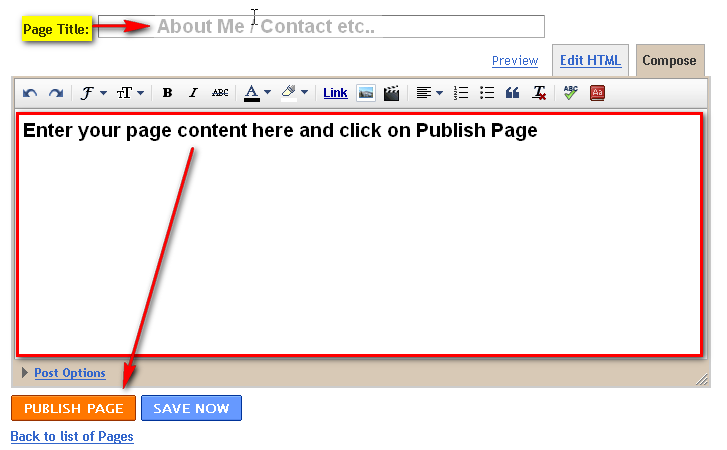 select any appropriate choice and click on Save and Publish button. You will get this message "Your page was published successfully". You will find all your pages in your Posting > Edit Pages tab. (you can add 10 stand-alone pages at max). If you want to change the order of your pages or want to add a new page gadget(if you have chosen option 3[No Gadget] in step 3), navigate to Layout > Page Elements tab. 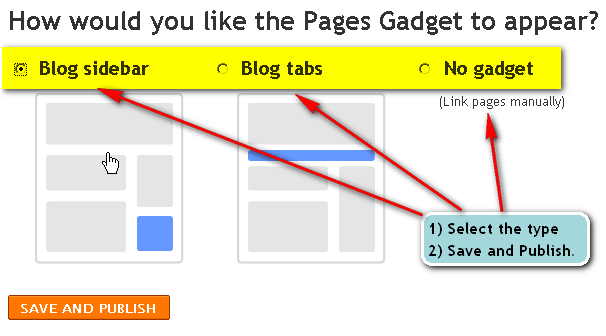 - click on add a gadget if you have not already added page gadget, else click on Edit link. and you will have a configure page list section. in this section you can change page order, page layout, page show/hide and some other options as well. so that's all about static pages in blogger. see blogger static pages @ blogger. 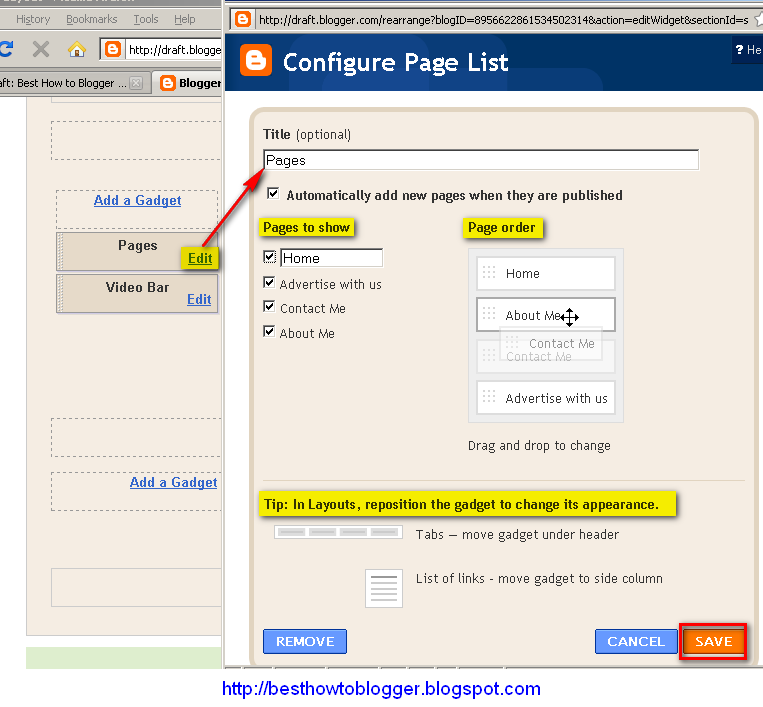 Get free information related to "How to Add & Show Static Stand Alone Pages in Blogger". i was getting stuck on it. @Kenu Totos, thanks for your comment, i am glad that i am helping you :). Comment on the blog if you ever have any question or query related to blogspot.